Yeah, good luck, "Jonah Hex." 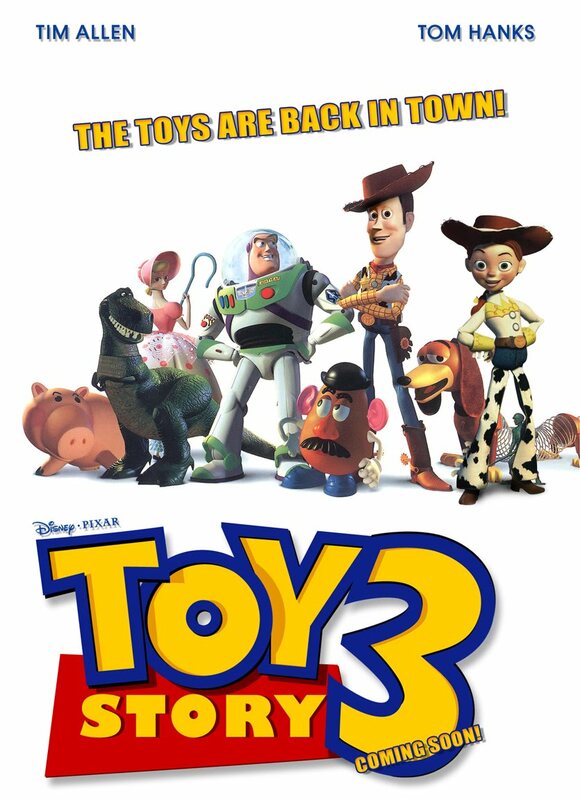 Like anybody's going to anything this weekend that doesn't contain the words "Toy" and "Story" and a number. Toy Story 3: Full disclosure--I've never been that nuts about the Toy Story movies. Oh, don't get me wrong, they're good and all, but quality-wise, I'd put them pretty far down in the Pixar canon (neither of them hold a candle, as far as I'm concerned to WALL-E or Up or Ratatouille). But it's also been many, many years since they've made one, and from most accounts I've read, the power and lyricism of those last few films is in full force here. While Ebert is slightly less enthusastic than most, Todd McCarthy, Peter Rainer, and Jamie S. Rich are all pretty nuts about it. Jonah Hex: What can you say about a movie whose most compelling feature appears to be its running time? Without credits, it runs something like 74 minutes, and as Brian Orndorf notes, "It's hard to accomplish anything richly cinematic in 74 minutes." I'm rooting for ya, Josh Brolin, but geesh, this one doesn't exactly have the scent of confidence about it. The Killer Inside Me: Sure, there are lots of problems with Michael Winterbottom's adaptation of Jim Thomson's classic pulp novel (and Hoberman eloquently pinpoints most of them). But I admired the picture's unrelenting bleakness and the thumping intensity of the plotting. It's not just designed to look like noir; it feels like it, unfolding with the same nightmare precision as, say, Detour or Gun Crazy. He doesn't match those pictures, but he gets a lot closer than most. And Joan Rivers: A Piece of Work goes into wider release this weekend; I don't mention this to continue my shilling for it, but to direct you to the excellent reviews of it that I just read by Roger Ebert and Manohla Dargis.